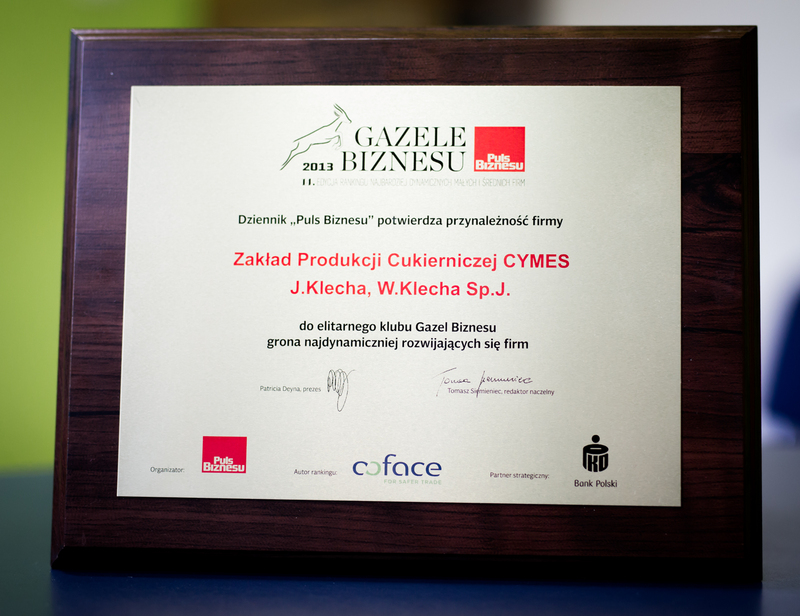 The efforts we put in the work on the taste and quality of products have been recognised as our sticks ‚Sezamki’ have received the ‚Consumer Laurel’ and ‚Best in Poland’ awards. 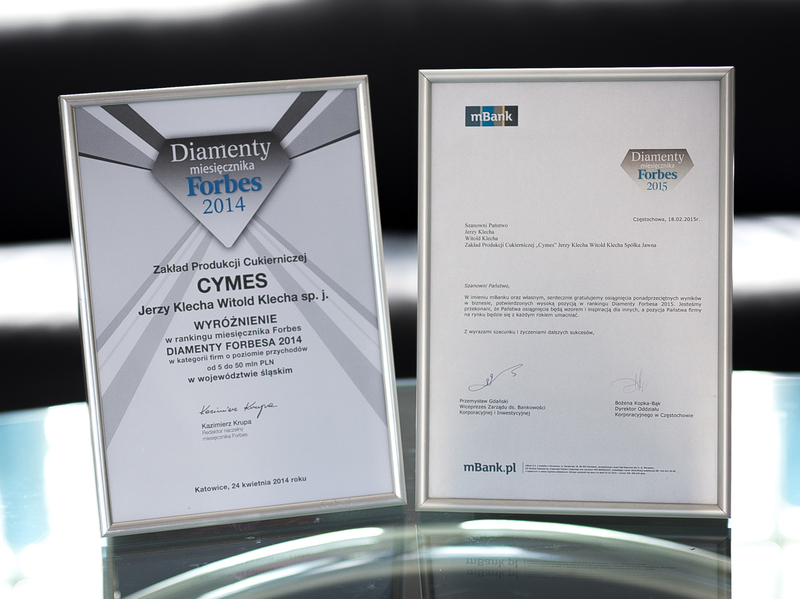 Our company was also awarded the ‚Business Gazelles’ and ‚Forbes Diamonds’ for several times (2014-2015). 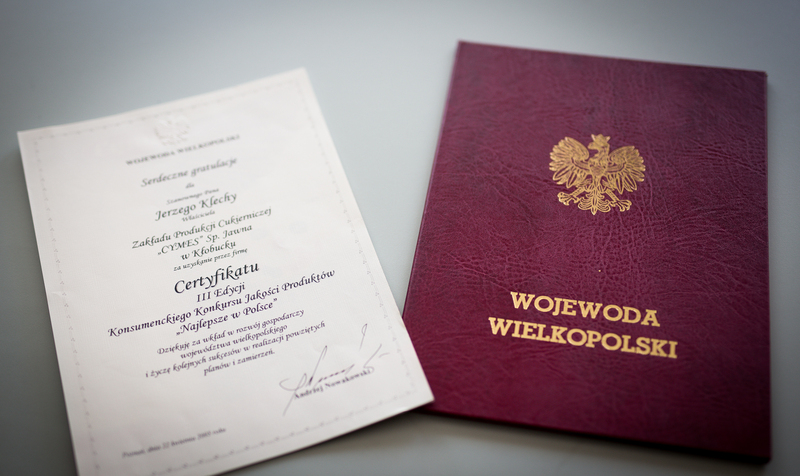 The awarding committee appreciated our contribution to the development of the Polish economy – we pay our taxes locally and employ staff on the basis of employment contracts, thus providing them with a sense of stability and financial security. 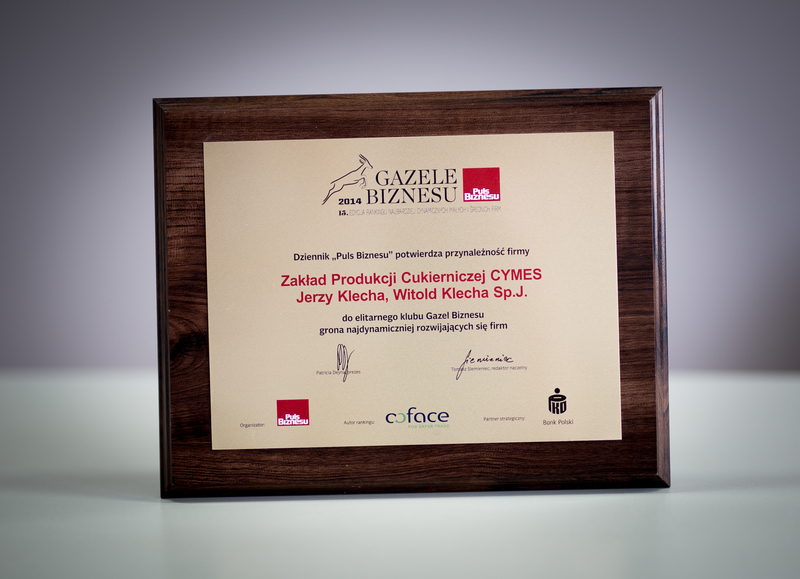 We make efforts to deliver products which are not only tasty but also healthy. We do not use any artificial colours and preservatives. We produce not only under our own brand, but also for pharmaceutical companies (vitamin jellies), which set very high requirements regarding quality. Our products regularly pass extensive audits, which guarantees constant quality level. We also care about the pricing of our products. Our customers appreciate the fact that top-quality Cymes sticks, jelly, jellies and sugary peanuts can be purchased at an affordable price.